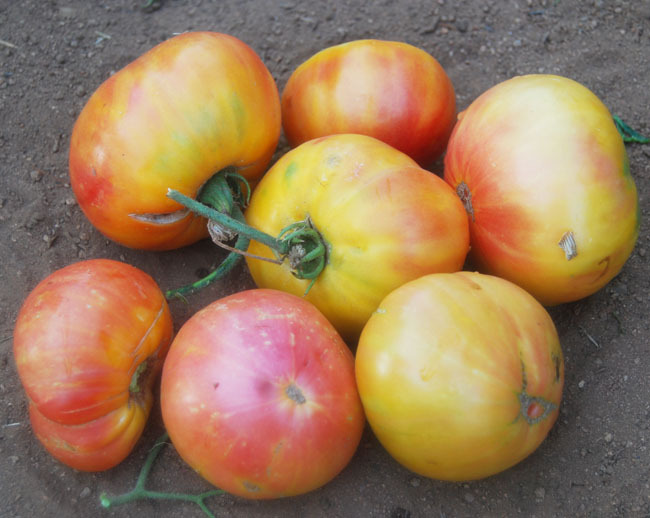 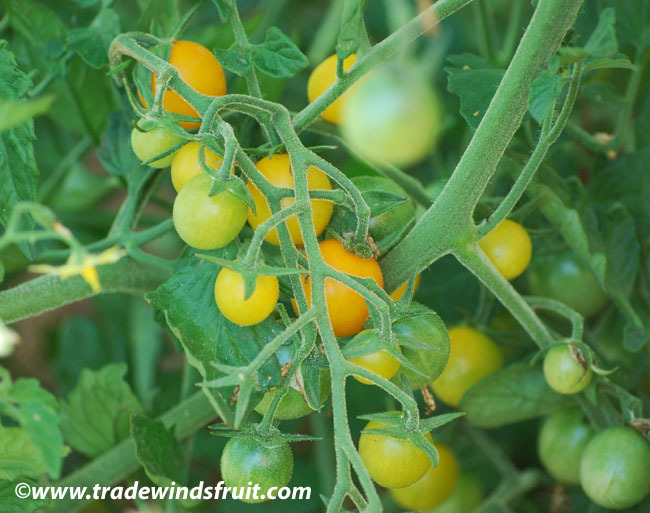 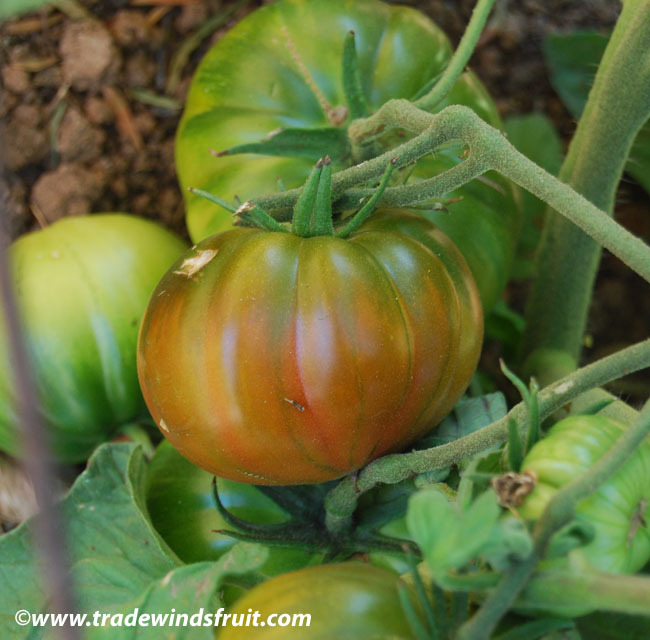 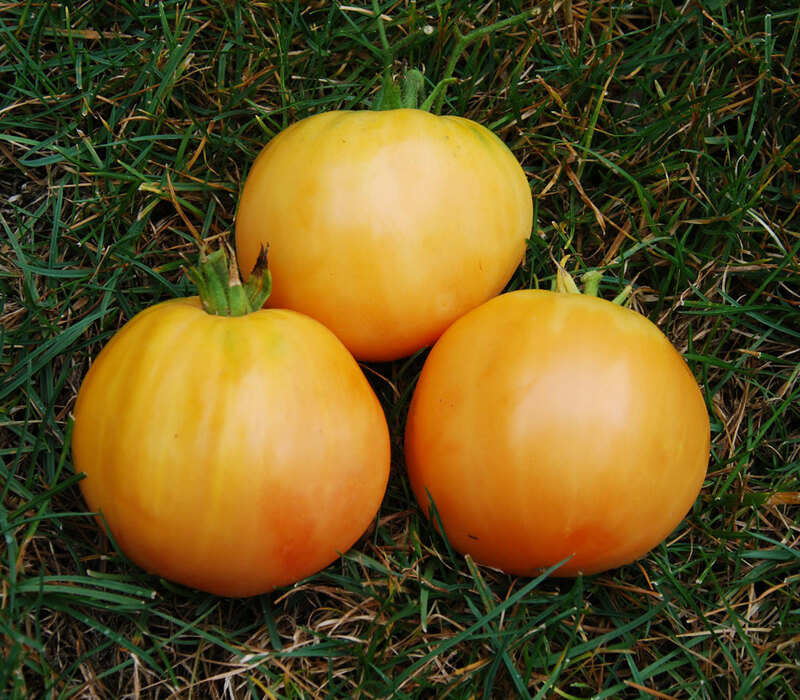 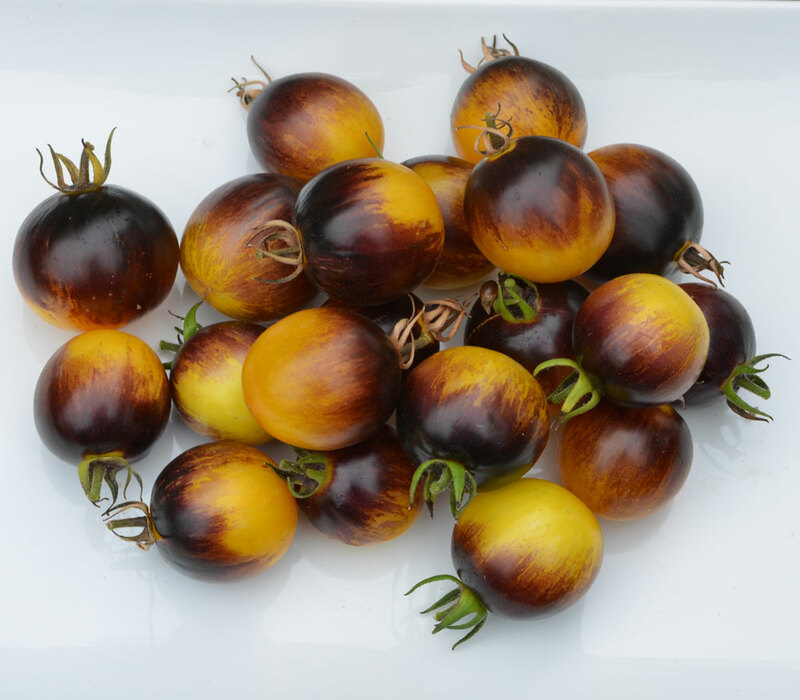 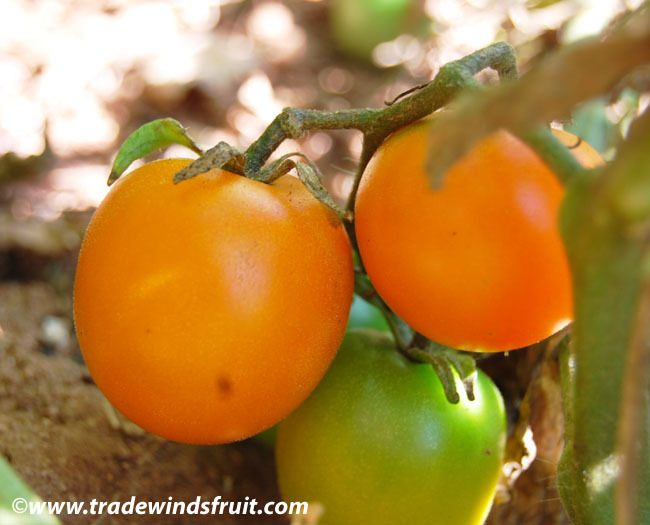 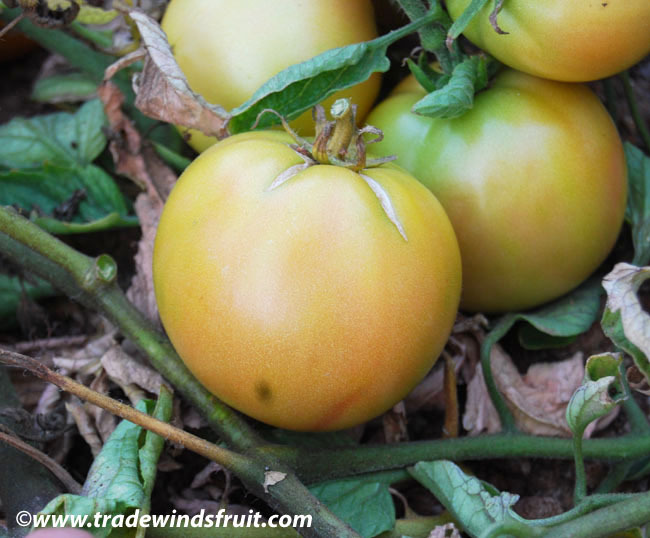 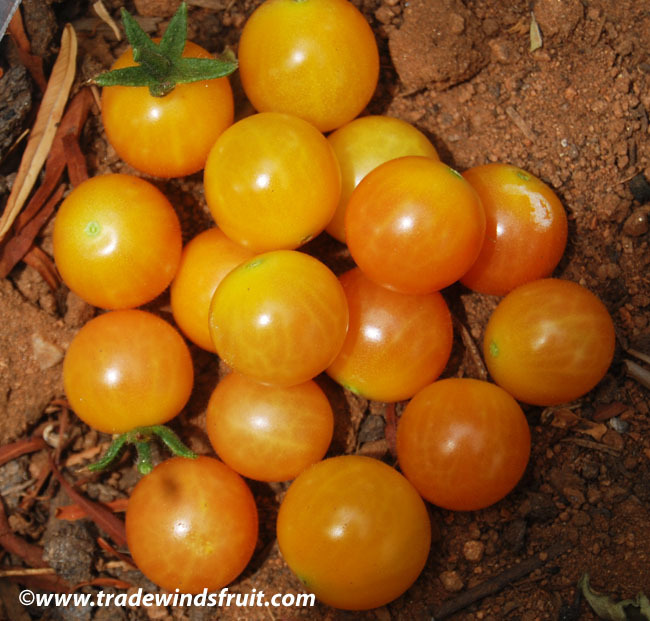 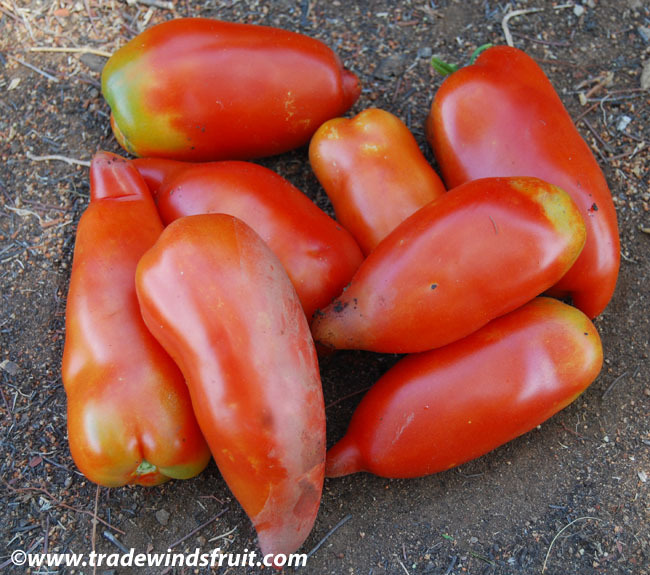 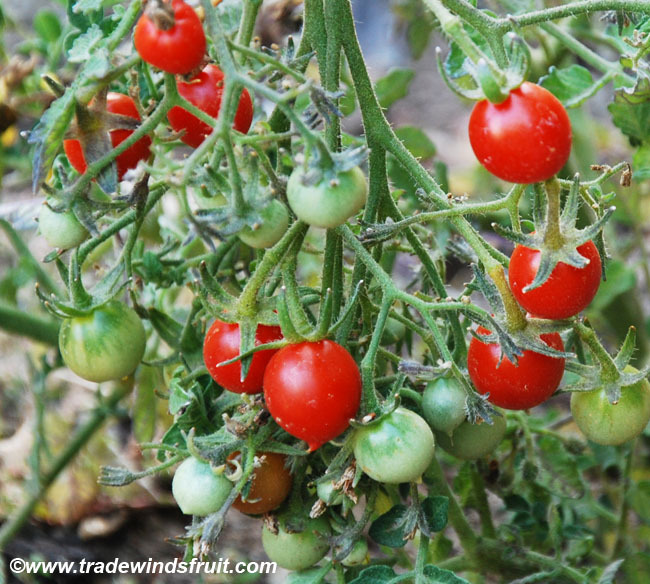 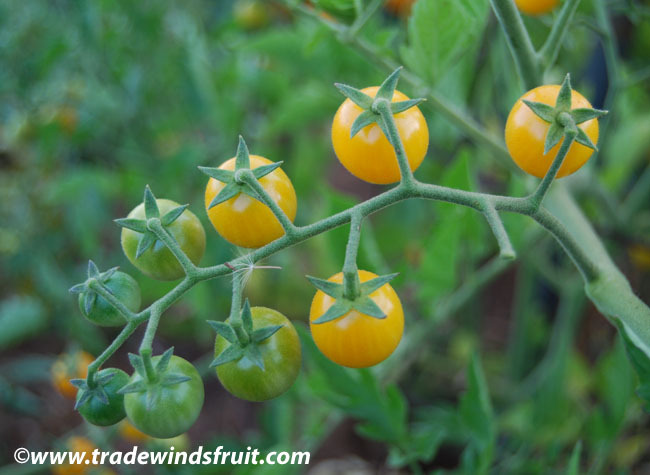 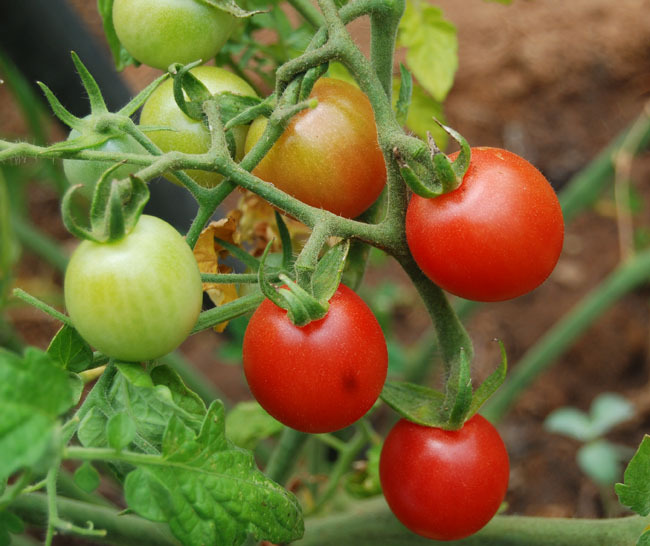 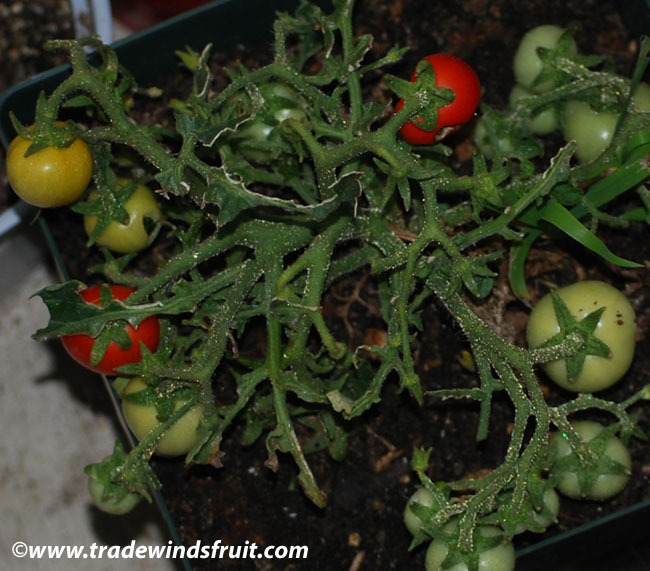 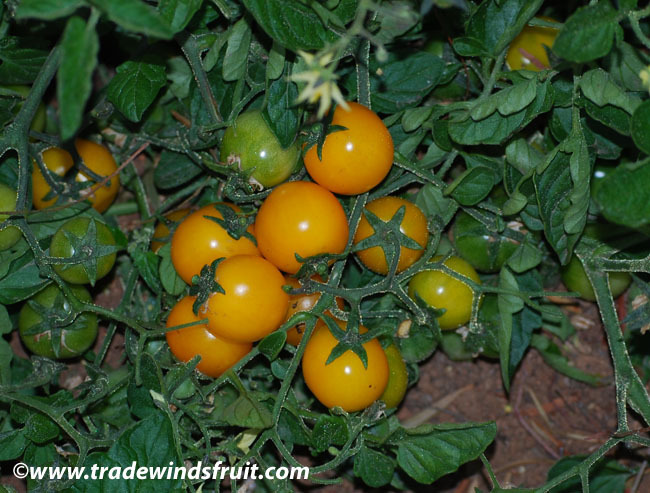 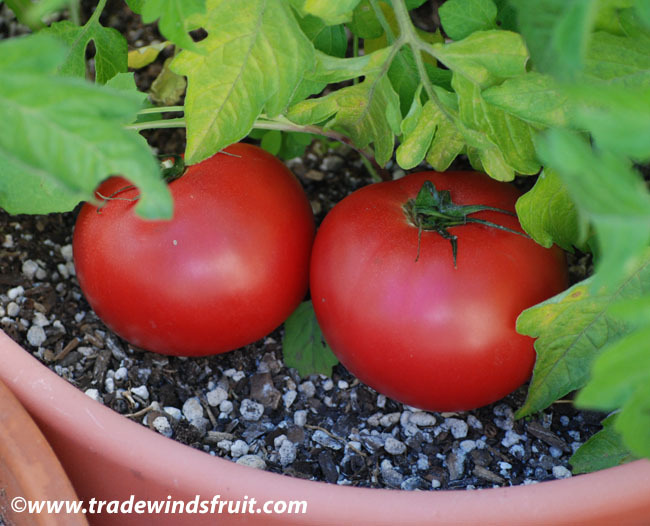 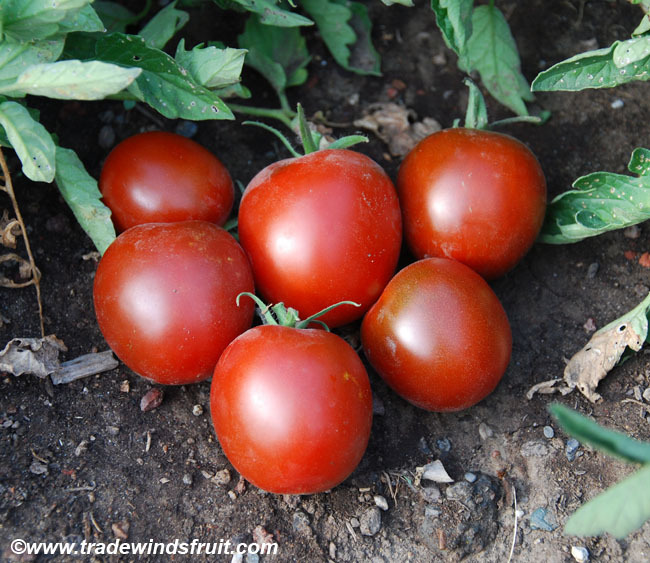 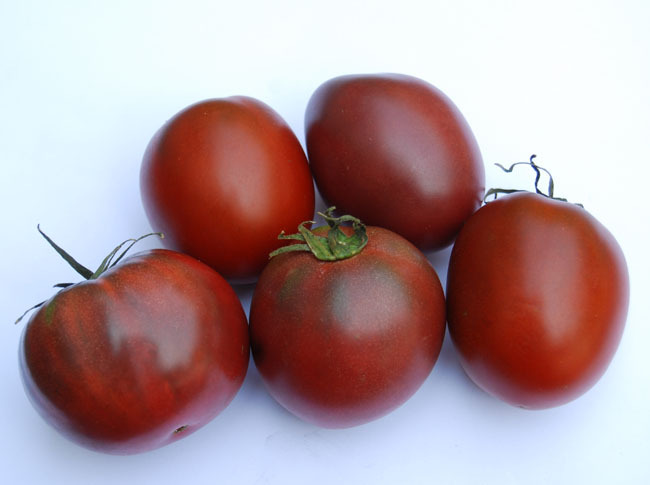 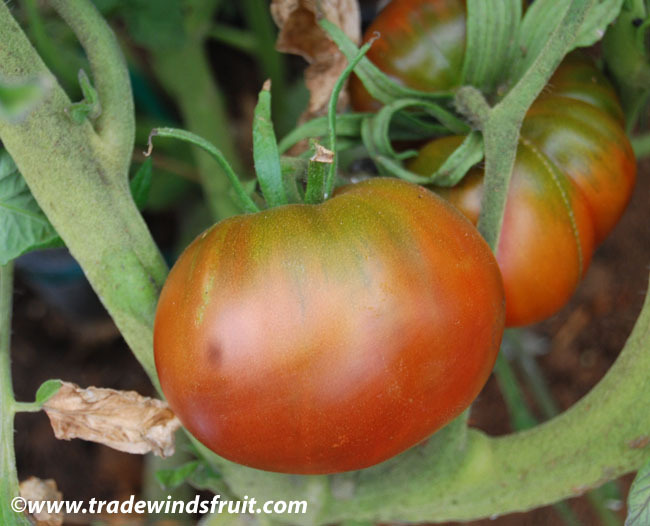 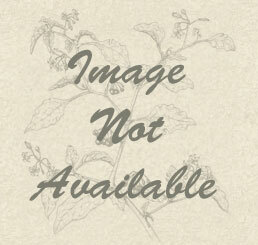 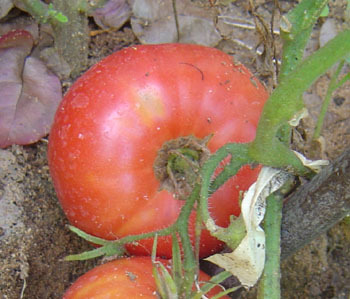 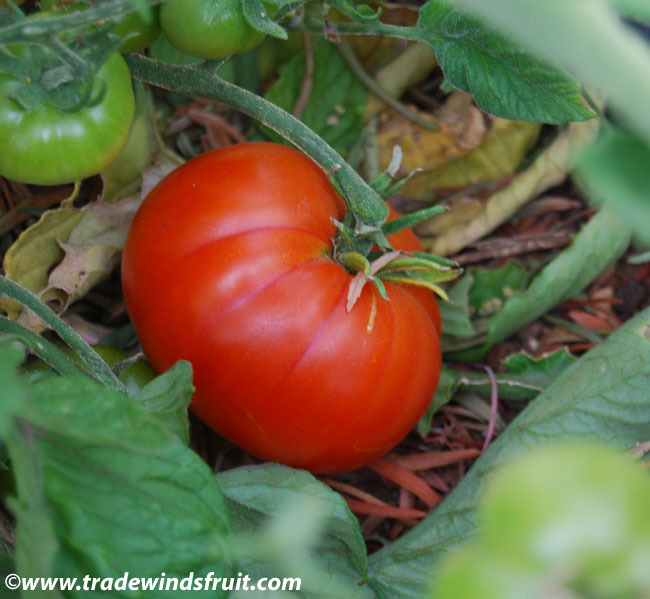 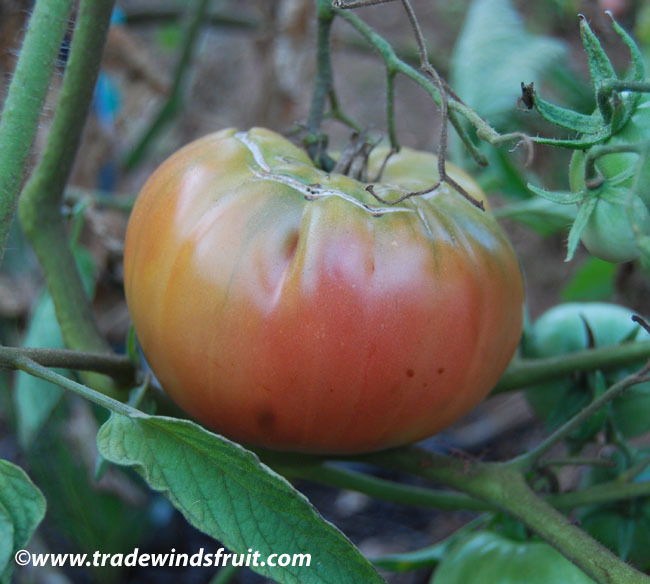 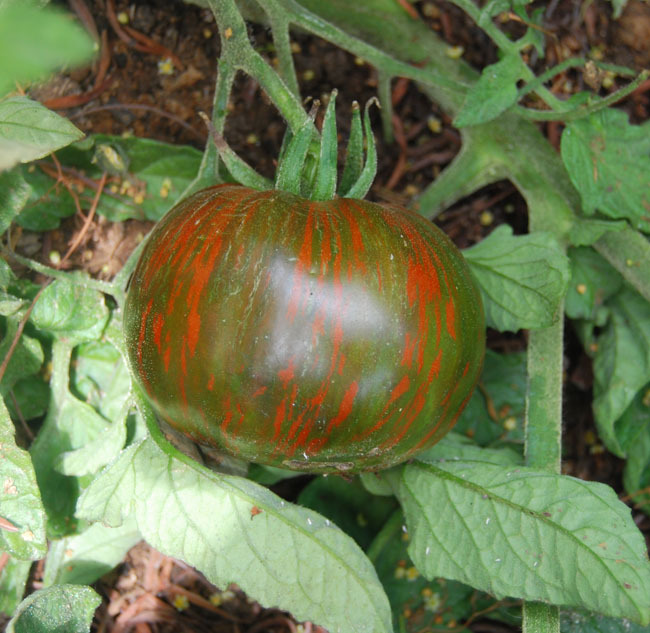 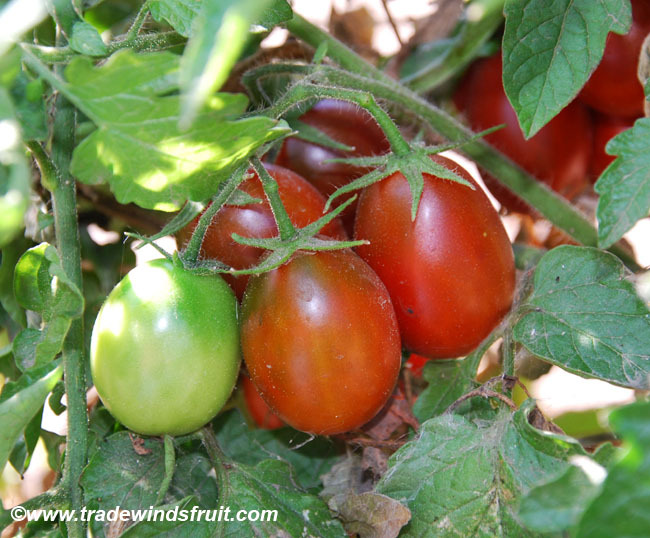 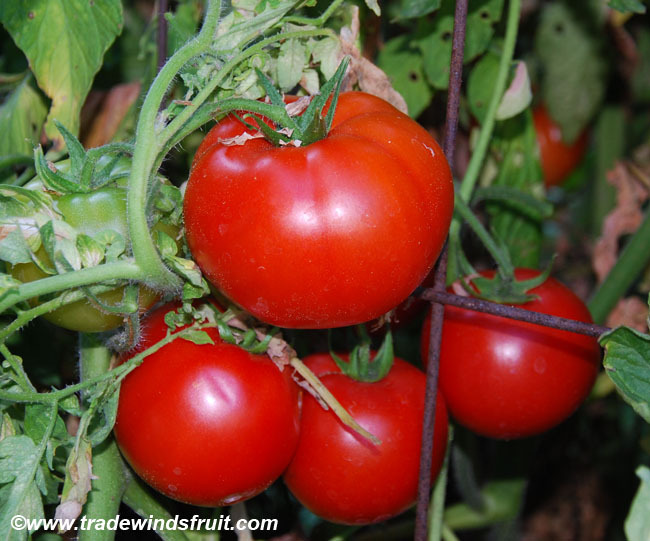 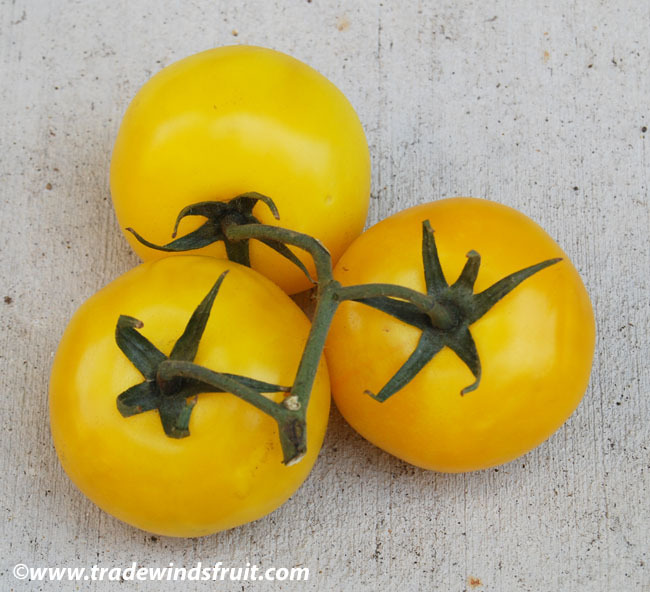 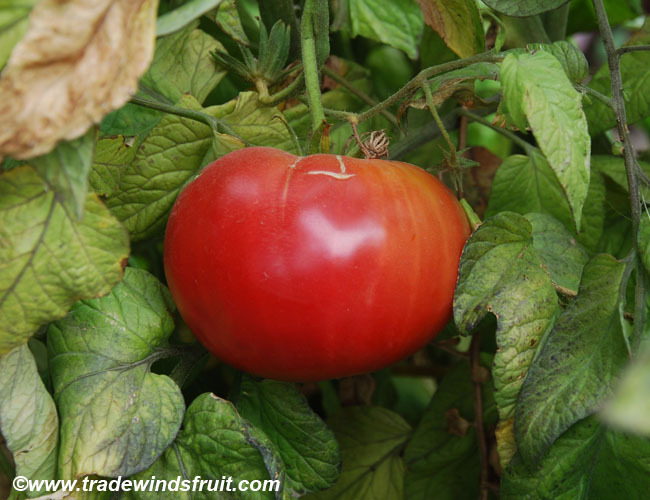 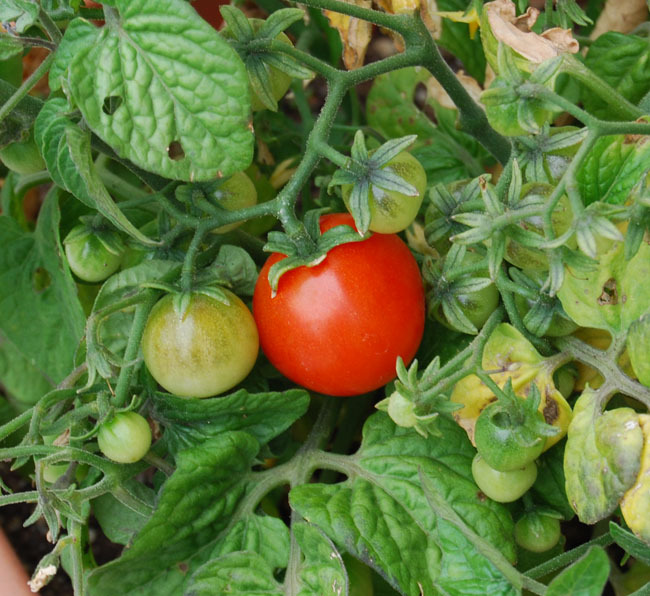 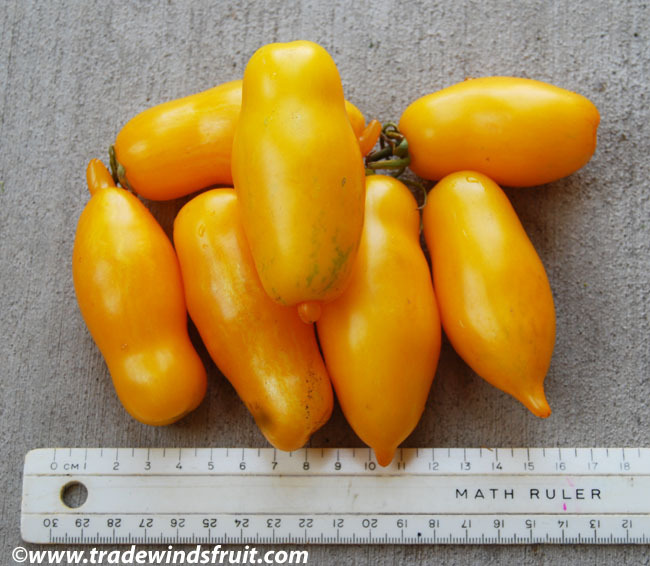 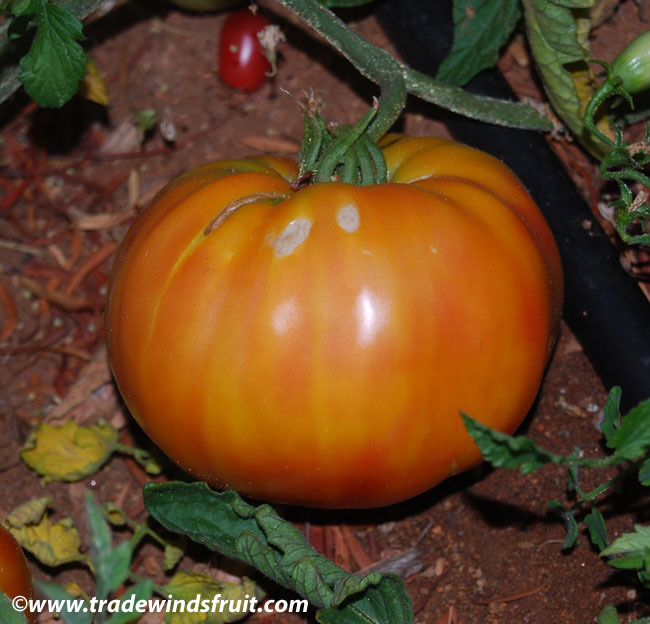 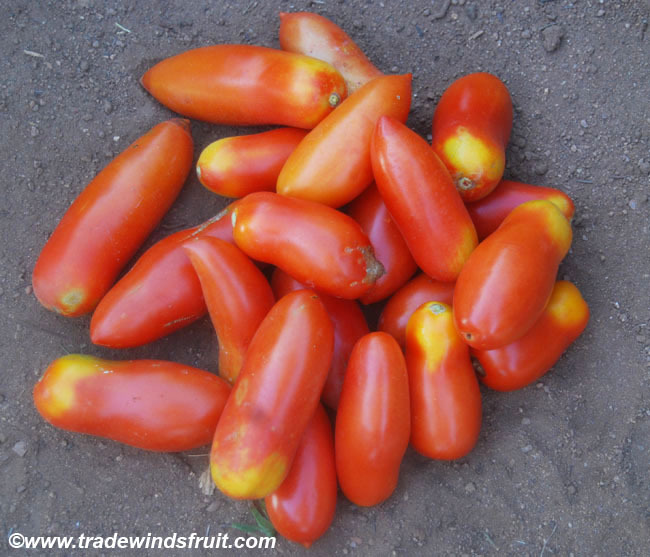 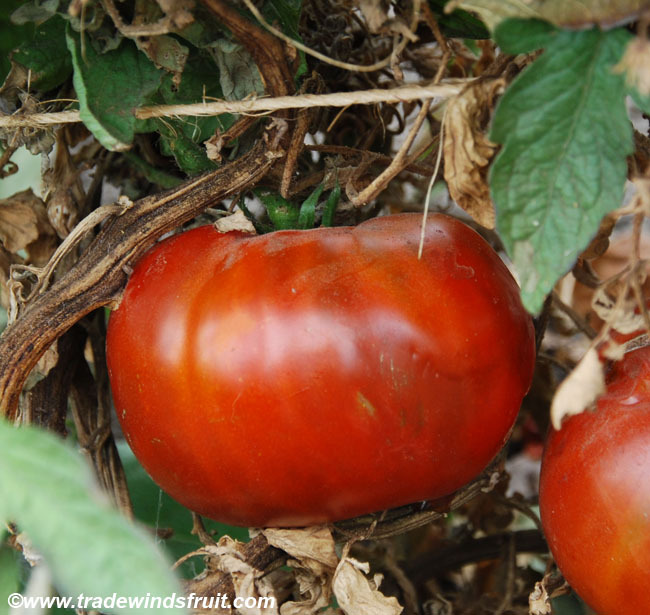 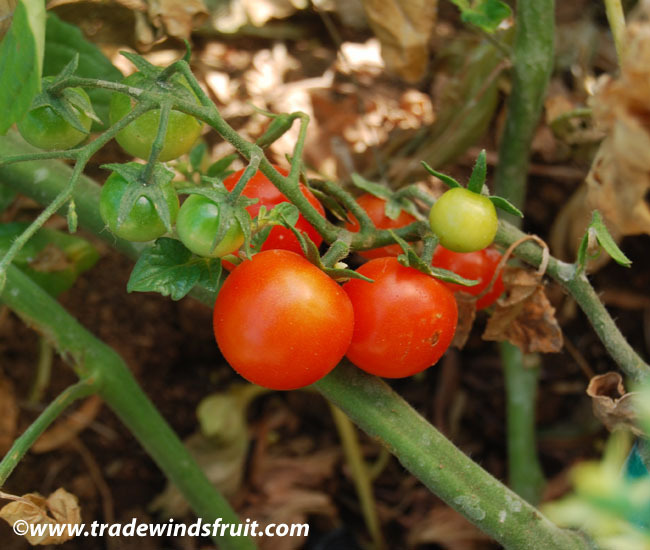 An interesting and still unknown cherry tomato variety with exceptionally flavored fruits. 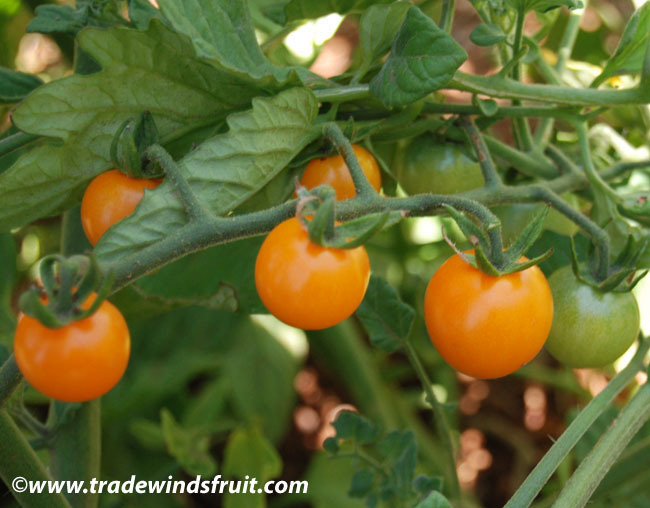 The plant bears small cherry fruits, which ripen to a slightly translucent orange, with subtle rosy blushes. 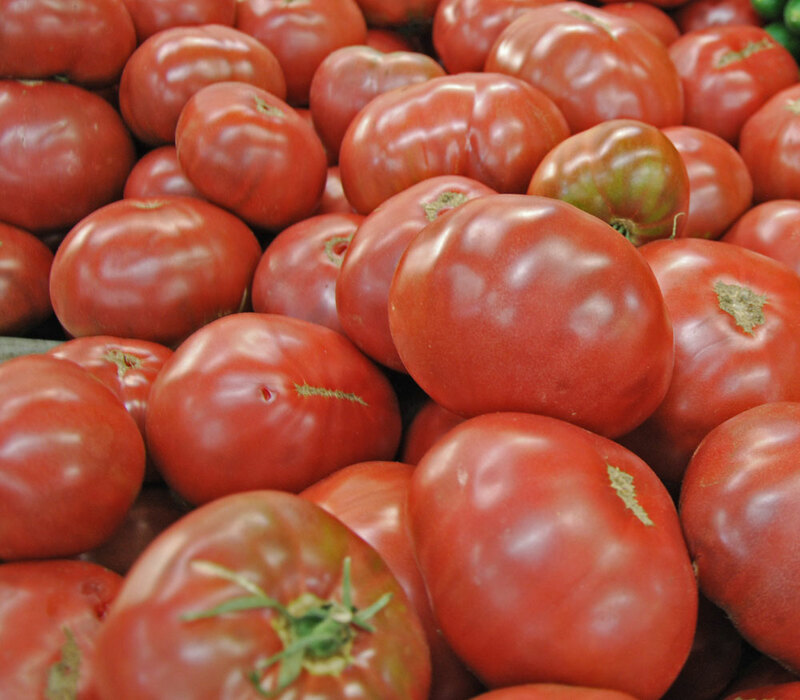 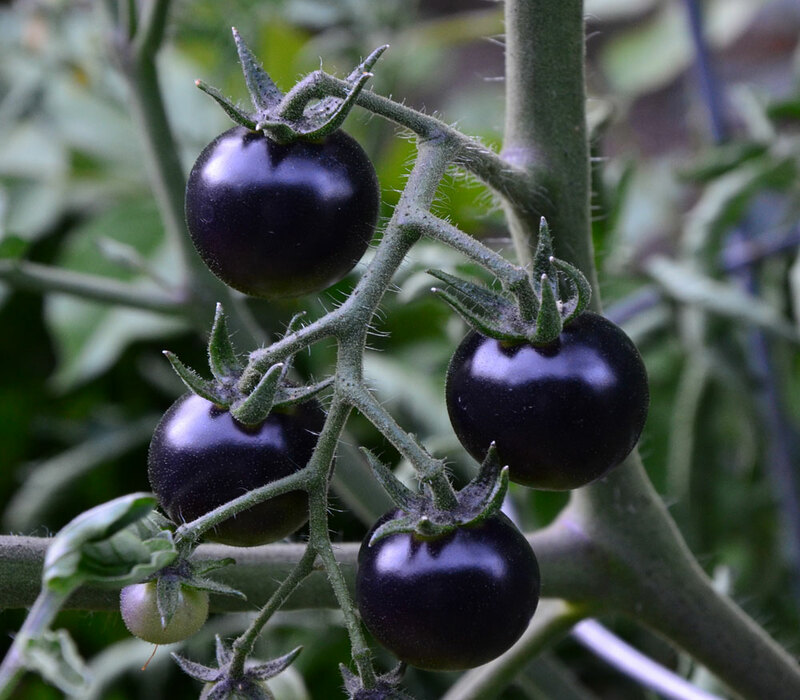 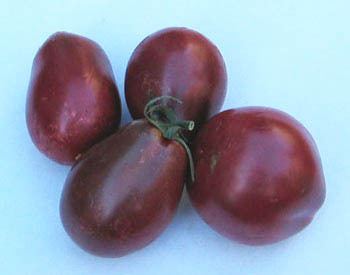 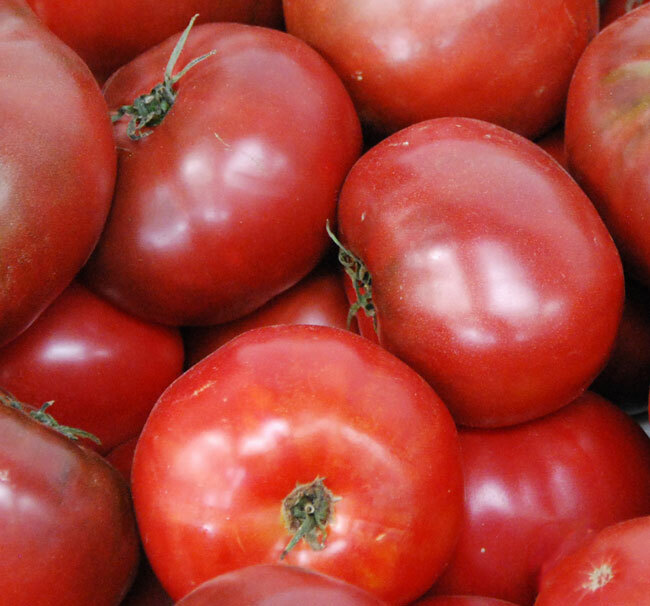 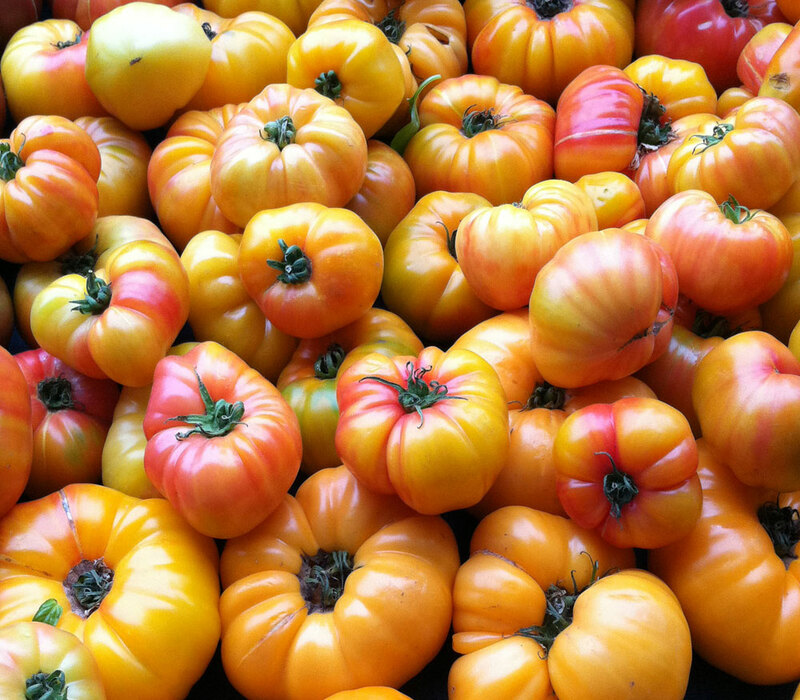 The fruits are quite unlike most common cherry tomatoes in appearance and their excellent flavor sets them apart as well. 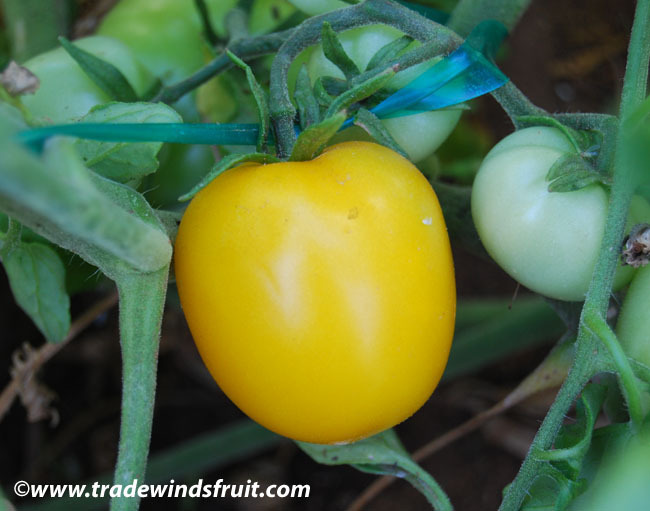 Flavor is highly sweet, much like the Sun Gold and Sun Sugar, though with subtle differences. 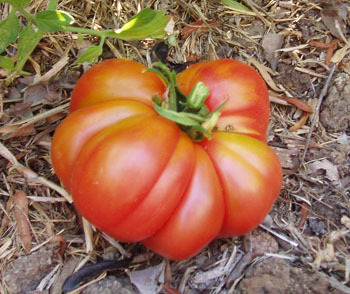 Fruits are born in good sized clusters. 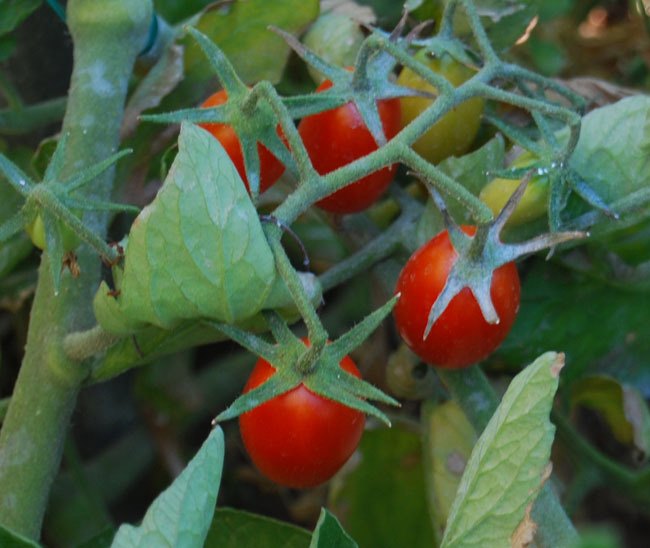 Plants are vigorous and may reach 6ft.